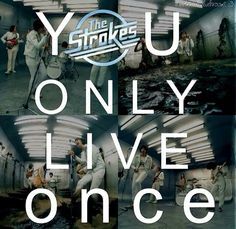 "Some people think they're always right" is the beginning of this song; we don't really know if we are right or not, but The Strokes just make one of the best motivational songs they could. Released in 2006, you can find two video versions: the first one that you can find below and another one guided by Warren Fu. If you want to know the rest of the participants for the best motivational song ever, just go to the Top 50 world motivational songs or check all Top 50 World Spécial that we have in our website!